Last year at CES, LG was one of the only major Android OEMs to announce a new device (the G Flex 2), and so far, they appear to be off to a decent start for 2016, too. This morning, the company announced the launch of two new devices for CES this week, the K7 and K10. The K line is the successor to the L line, borrowing premium features from more high-end devices, making them available in a more affordable package. The K7 features a 5″ FWVGA display, quad-core processor, 8MP rear-facing camera, LTE connectivity, 2,125mAh battery, 2.5D Arc Glass design, enhanced camera features, and will run Android 5.1 out of the box. The K10, a more high-end device of the mid-range lineup, features a 5.3″ HD display, quad-core processor, 2GB of RAM, LTE connectivity, 2,300mAh battery, 13MP rear-facing camera, and will also run Android 5.1 when released. At this time, LG has yet to announce availability and pricing for the devices, but we may found out a bit more info once we get hands-on time with the units this week. LAS VEGAS, Jan. 4, 2016 ― This week, LG Electronics (LG) will unveil its K Series, a new line of smartphones with the advanced camera technology and UX features of LG’s premium models. The first two devices in the series, K10 and K7, will make their public debut at the 2016 CES in Las Vegas. LG K Series smartphones will be the first to offer LG’s *glossy pebble* design language, a contemporary, stylish look with a curved, modern finish aimed at a younger audience. The glossy pebble design is complemented by LG’s new *2.5D Arc Glass* for a smooth and seamless style that could only be made possible due to the sides of K Series smartphones being free of button clutter. With design cues borrowed from nature, the K10 and K7 look far more expensive and exclusive than they really are. The back cover features an intricate woven pattern for optimal grip and confidence when on the move. And because consumers on the move tend to enjoy an active lifestyle, the K Series is designed with multimedia creating and consumption in mind with a roomy display to show images and videos captured with the most advanced camera on a smartphone in this category ― 13MP on the rear and 8MP on the front in the case of the K10. Featuring LG’s popular Gesture Shot and Gesture Interval Shot, taking selfies is easy and hassle-free. Gesture Shot enables users to take photos simply by raising an open hand in front of the lens and then clenching it into a fist. Closing one’s hand twice automatically leads to the Gesture Interval Shot and will produce four consecutive photos. Both devices are equipped with Flash for Selfie on the front to help users capture priceless moments whenever, wherever the need might arise, even in the dark. 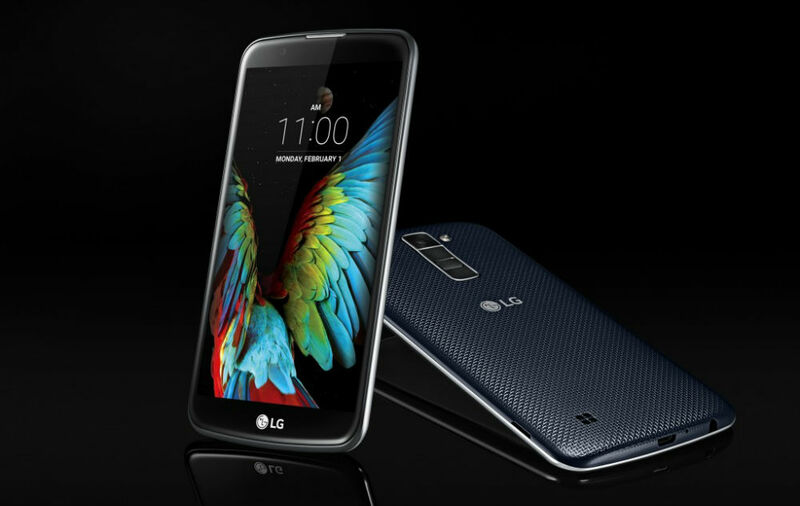 Visitors to CES 2016 will be able to see the LG K10 and K7 for themselves at LG’s booth in Hall #8204 of the Las Vegas Convention Center from Jan. 6-9. Specifications/Features may vary depending on the market.